Are your bigger animals getting jealous of the chicken coops and livestock pens? 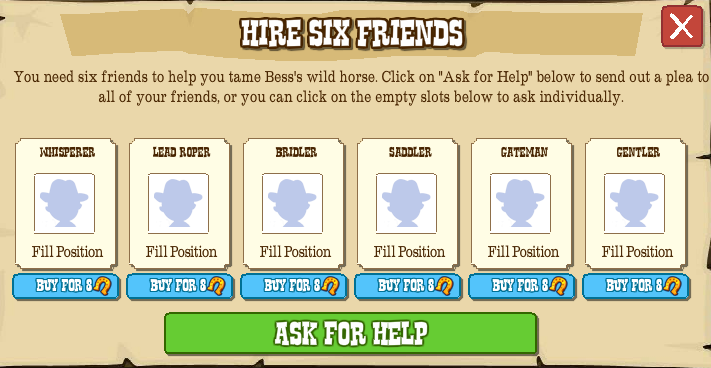 Have you found an Ox trying to make a den or a mule in your shed? 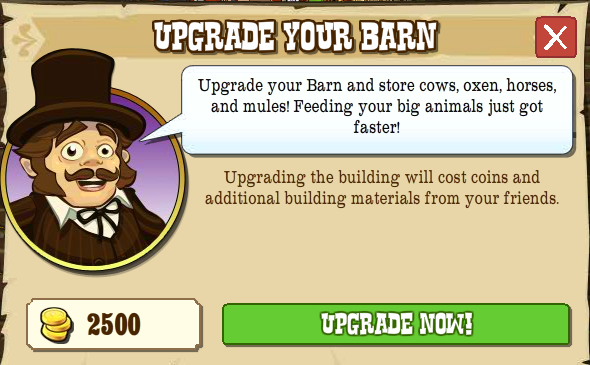 Well never fear, we're going to have the chance to put a roof over the head of our bigger animals as well with the Big Barn upgrade! 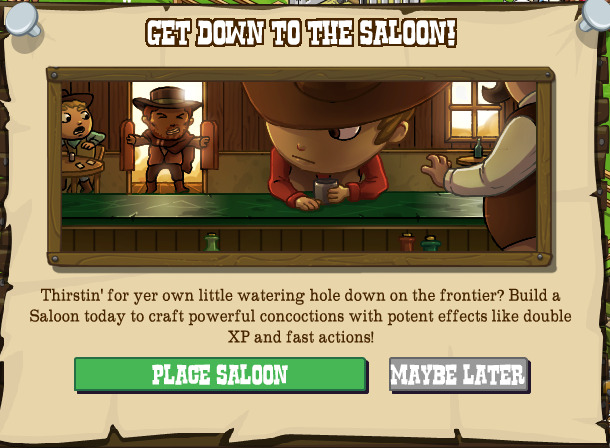 Barn Missions will appear at the same time as the upgrade option, all the details are HERE. 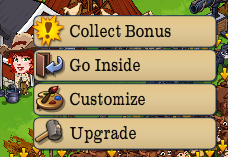 You start the barn upgrade by clicking the barn in the usual way and selecting "Upgrade", this will then popup a message from Humble Bob letting you buy the upgrade and place a tarp over the barn while you do the work. 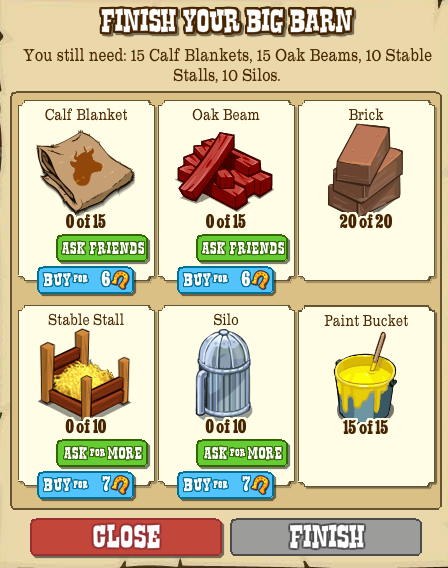 Unlike previous buildings two of the six building materials for the upgrade will be familiar to all of us, the good old bricks (20) and tins of paint (15)! Beyond that you'll need 15 each of Blankets and Beams which are requested directly from friends and 10 each of Stalls and Silo's that are got via wall posts. 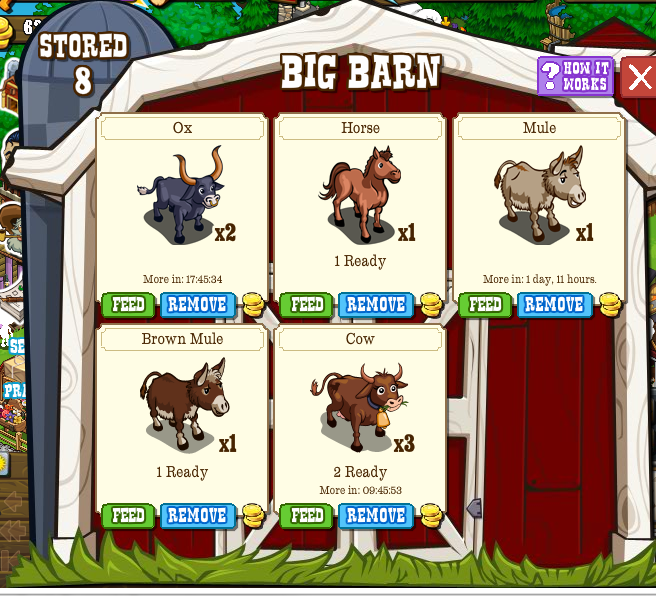 Once the barn is completed you'll then get an expanded menu, an about screen and... the chance to store baby, STORE! 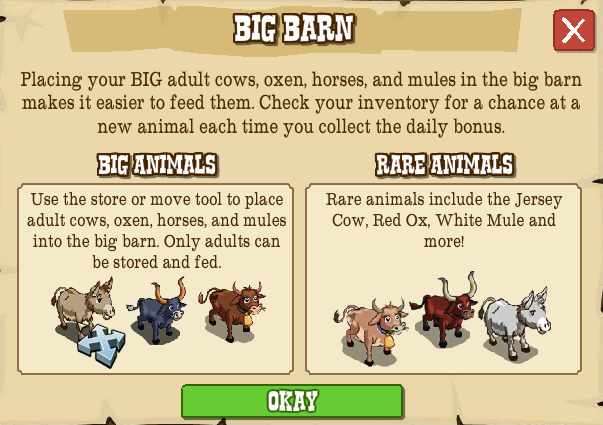 The limits to the new barn are 1000 of each type of animal, horse, mule, ox and cow, so quite a lot more space to be had on your frontiers! 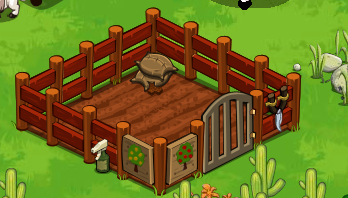 Collecting the daily bonus on the barn will spawn some XP or gold but will also give you the chance of an animal. 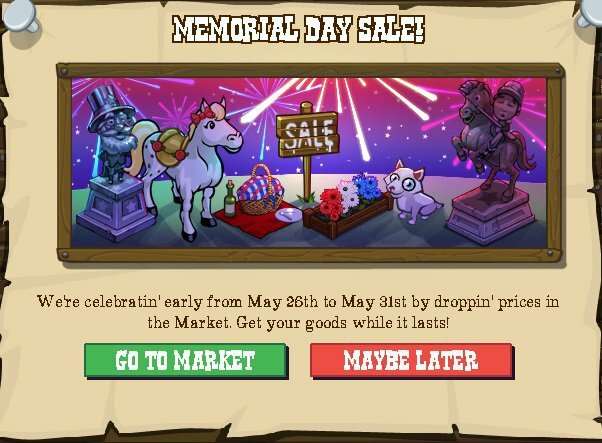 There's a 40% chance of getting a Horse, Mule, Ox or Cow (10% chance on each) or an 8% chance of a special limited animal, White Mule, White Horse, Red Ox or Jersey Cow (2% chance on each) which will possibly give energy when tended! Oh, and finally, the obligatory badge for storing animals! 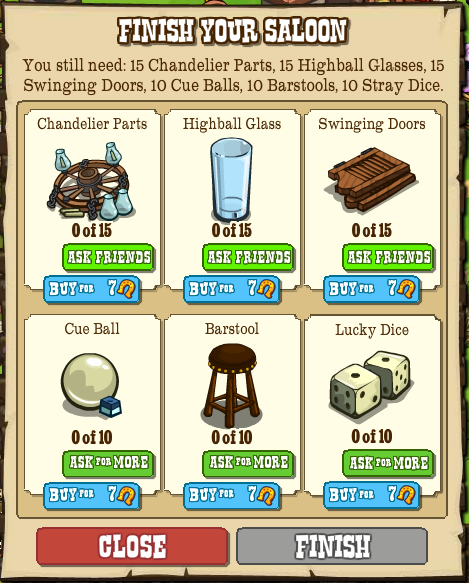 So, how excited are you at storing bigger animals? :D Let us know at our Facebook Page. 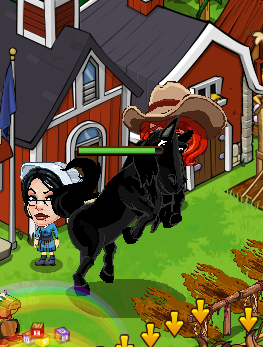 It's the Big Sale Day on Frontierville! Three of these will be variants of current trees, the sour cherry, green apple and white peach. 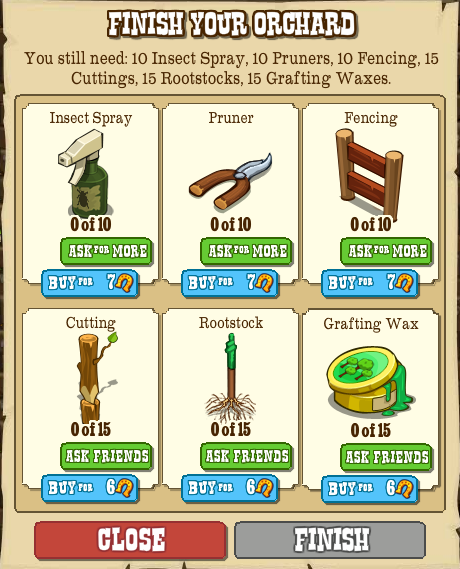 We believe these give the same rewards and bonuses as the current trees, just with different graphics to vary things up and needing spring water to grow. 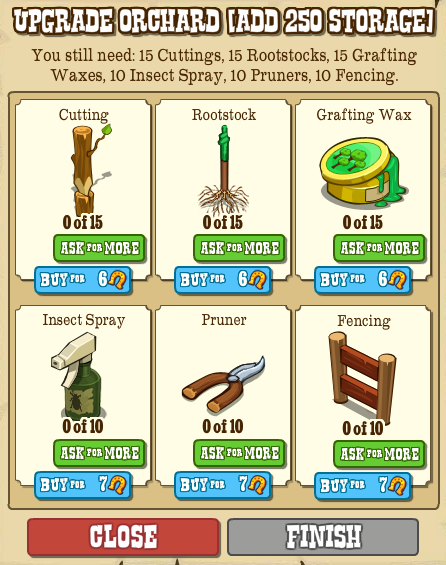 These new premium trees also come with their own collections! What do you think of the new trees? What other variations would you like to see? Come give your feedback on our Facebook Page! 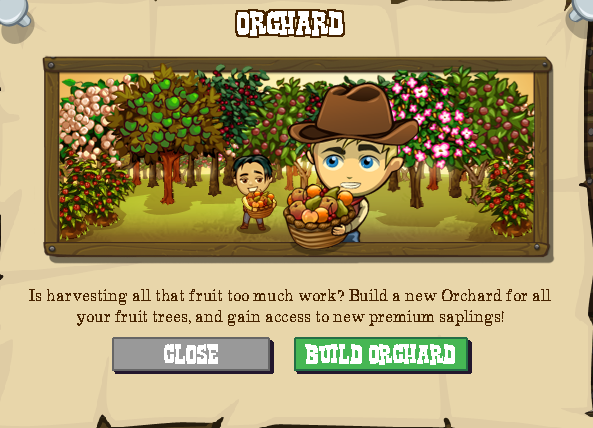 It's been a long time coming but it's finally here, another of our most wanted features... the Orchard! Yes, once you've built this new building on your homestead you have a chance (with upgrades) to store ONE THOUSAND fruit trees and bushes! It'll also be introducing six new trees! For all the information on those go HERE. Once you click to place it, it'll be the traditional few whacks and then the finish screen with another 6 new building items the top three are wall requests, the bottom three direct requests. Now, more on this later but you'll want more of these than just the first set, so don't be afraid of clicking and requesting as much as you can! 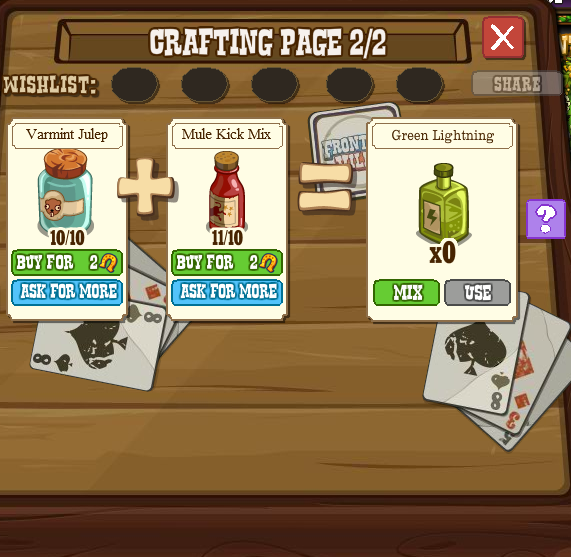 As you can see, there's an upgrade option. 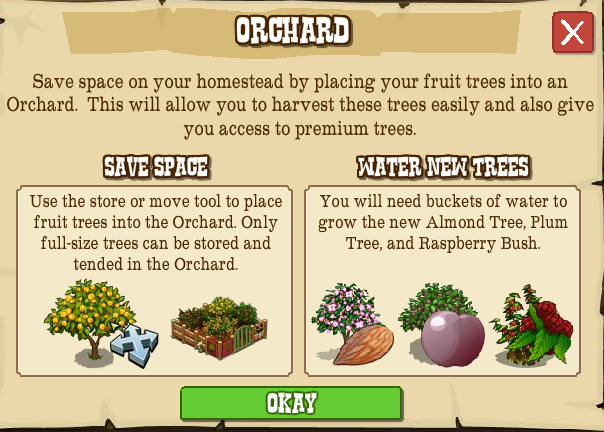 Initially the Orchard will store 250 trees, but you'll then be able to upgrade it another three times, with the same building materials as the first build and each one will give you another 250 space each expansion, finishing off with 1'000 trees storable. 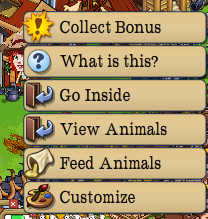 All the rest of the mechanics work the same as the chicken coops and livestock pens, with a feeding option and a chance to view and remove trees from your inventory. 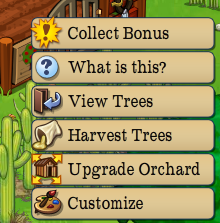 More on the Orchard and new trees as and when we get it! 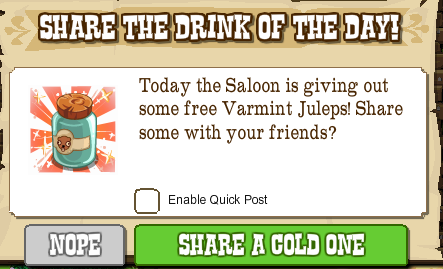 Give us your thoughts on the new feature on our Facebook Page! Time to find yourselves some new injured animals! 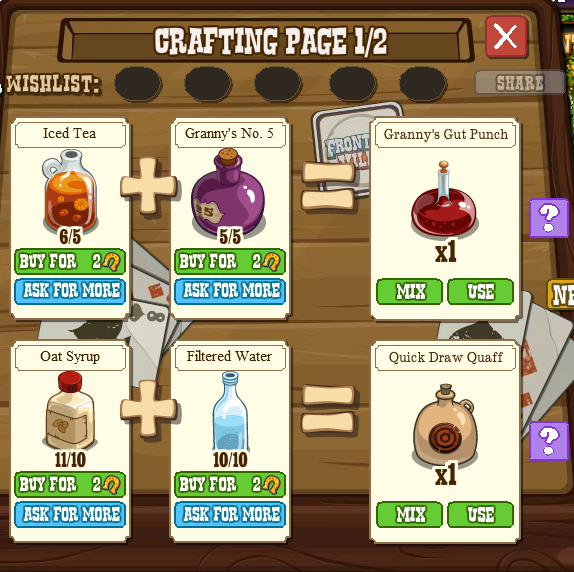 These ducks will appear when chopping both types of lumber trees or feeding chickens and geese. 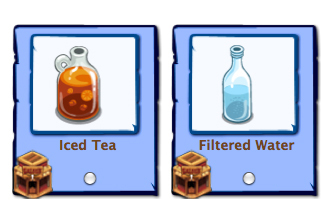 When you have them on your Homestead they'll take the traditional critter milk to fix up right as rain (off a duck's back)...and then they will reward you with 18XP and 250 Coins every 24 hours. 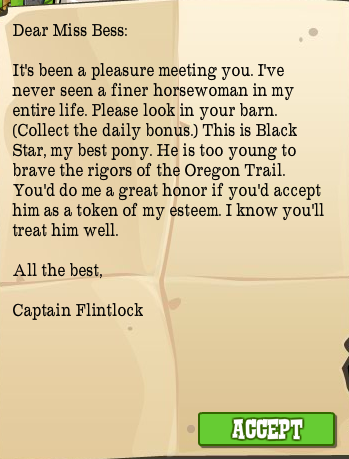 It seems that Hank has picked Fanny to be his beau and Bess is a little upset... But don't you be worrying, a big strong soldier is coming along to help her heart! 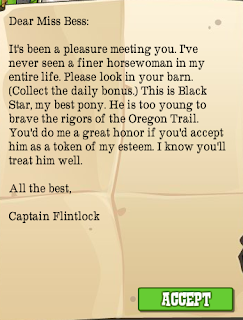 Take part in the five ROMANCE MISSIONS to get a chance to give Bess a token of Captain Flintlock's esteem, his best pony, Black Star! 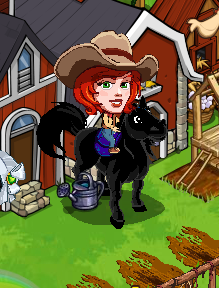 Do you like the pairing and Bess' new horse? Let us know on our Facebook Page!